The Washington Post is desperately trying to besmirch President Trump before the midterms, just ten days from now. They do this by distorting his words, changing the meaning of his words, creating nothingburgers, and mocking one of America’s most exceptional, if not the greatest President ever. In their Fake News laboratory, they have shelves that sag under the weight of many baked nothingburgers. These are regularly sampled, but there are also tables covered in Petri dishes harboring the germs of lies they intend to bake up each day. 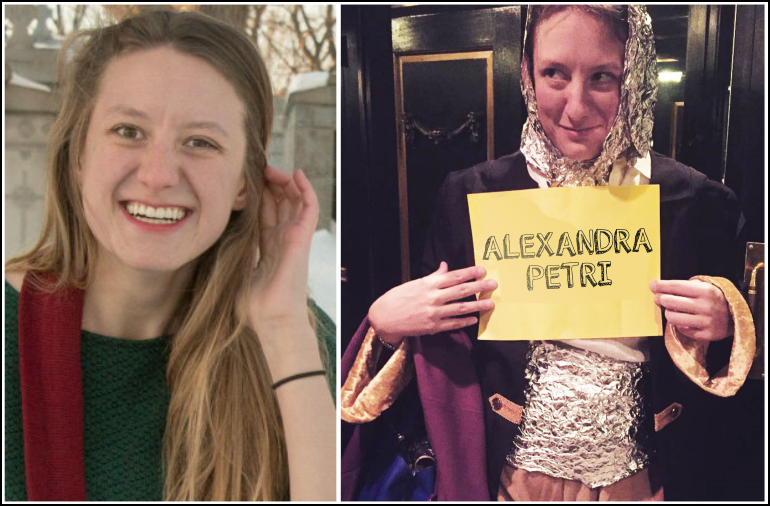 Yesterday one of their columnists, Alexandra Petri, was ready with her ‘article‘ on Trump. She is supposed to be the Washington Post’s humor columnist. It must be pretty dry humor. Still, she has what any Fake News organization would want in their reporters. Youth and inexperience. She began with a photo of Trump sitting in the dark. This came from a simple event – during a meeting at the White House, someone accidentally turned out the lights for a moment, seen in this 28-second video. Petri desperately wants to imply that Trump is incompetent or sinister, or both, with this introduction. How intellectual. Petri, have your lights never turned off or burned out? If so, yours must be the only office in America to escape that fate. 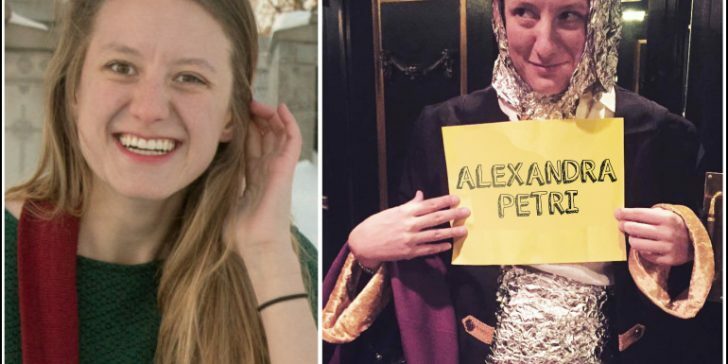 All hail Alexandra Petri, the Light Bulb Queen of America! She posts guards at every light switch, so this never happens! Donald Trump, alone of all people on earth, has the luxury of not caring at all what Donald Trump says. You do not care Petri, or you would not be misquoting him all day long. Your employers do not care, or they would not be misrepresenting him perpetually. The rest of Fake News does not care, or they would not be falsifying him constantly. Like millions of folk around the world, I care, and will never swallow your poisonous Petri dish diatribe. You wish, but no, Trump lives in several prestigious places; The White House, Washington D.C., Mar-a-Lago Club, Palm Beach, Trump Tower, New York City, and Trump National Golf Club Bedminster. None are made with pasteboard. No dear; Trump is not the type to be horrified. He is a cool cat if ever there was one. Nor does your POTUS naively think everything is twenty times larger than life. He has grown up in a wealthy family where everything was larger than life. He bought and sold skyscrapers, remember? What have you sold, young one? An old car? No, I think it is YOU who finds working for the Washington Post to be much larger than life in the sticks. It sounds like that little bit of power has gone to your head. I would calm down and learn to respect your elders if I were you. Hillary Clinton’s corruption is well documented. Being an NPC drone, you would never have read any of it. You may search for it here on Bing or DuckDuckGo. Forget Google since they provide biased results. See the definitions of ‘caravan,’ ‘mob,’ and ‘invasion,’ here, and learn to tell the difference. The invading mob is unquestionably full of criminals, terrorists, and the scum of society. They are not hard to recognize providing you have your Coke Bottle glasses on. Once again, DuckDuckGo is your friend. The scariest thing about Donald Trump is that he thinks none of this is real. Someone has punched a protester at his rally? It is some clever trick, fodder for a morning show. It is all done with wires and camera angles, something like the WWE. 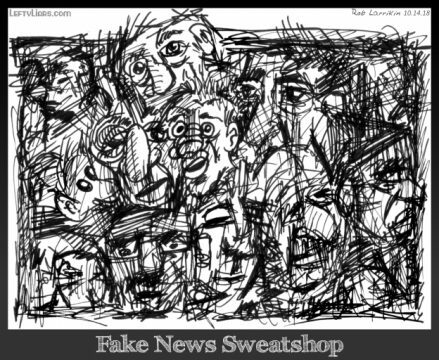 No one’s indignation is real, least of all the press’s. Those protesters are crying because they have been paid. This was all a sort of game, and the advantage was to the person treating it as such. When you make allegations, you need to back them up with evidence. You should show how Trump thinks none of this is real. Prove that when he says something is not real, it is actually real. Demonstrate that he believes that nobody’s indignation is real and that he is wrong. You failed to do those things. You cannot find evidence to back your allegations up because they are all false allegations. It is one thing not to believe in ghosts. It is another thing not to believe in climate change. Everyone “believes” in climate change. It is man-made climate change Trump scoffs at, and for a good reason. It is a ghost — a myth — like most Weather God religions of the past. To believe that nothing exists independent of what one hears said about it is a child’s view of the world. You have just described your own view of the world. After being brainwashed in school and by Fake Media, it is all you can see. You believe nothing exists outside that NPC bubble. What he said was perfectly valid. The Left has been making Christmas politically incorrect for decades. Everyone knows that — well, humans anyway. 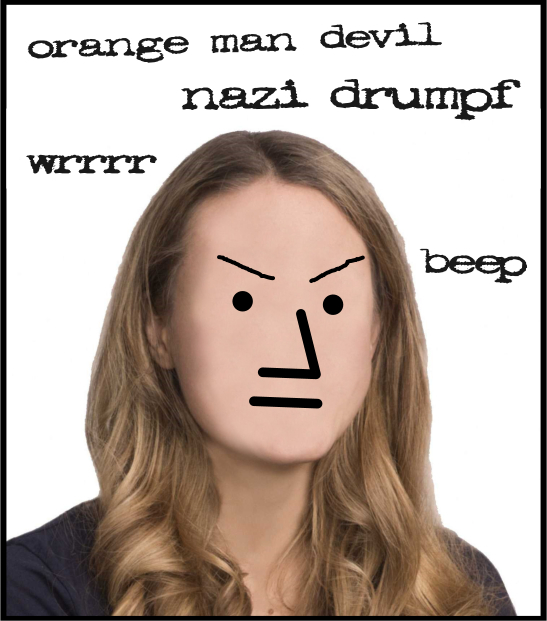 NPCs are another matter. Drudge Report “OBAMA KEPT THEM IN CAGES, WRAPPED THEM IN FOIL” We do a much better job while at the same time maintaining a MUCH stronger Border! Mainstream Fake Media hates this story. He has been on the other side of the TV too many times to believe what it shows him. It’s clear to me you are describing your own condition here. Trump watches TV, but he is swamped doing many other things too. Here’s a newsflash Petri dish — all POTUS watch TV. While other presidents were advised it was not ‘presidential’ to admit that, Trump is honest, and sees no reason to hide such normal and often essential behavior. Let me know when the penny drops. 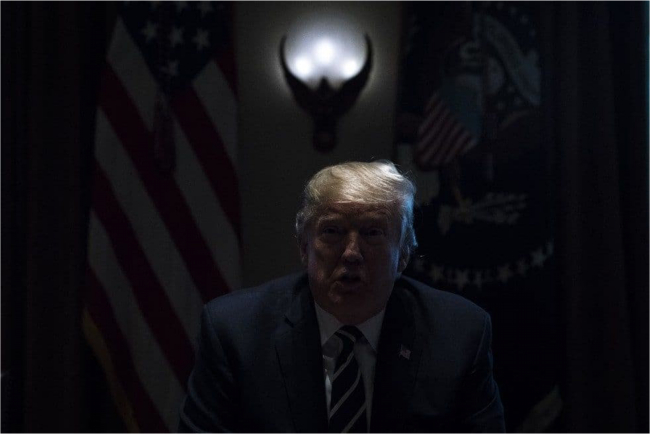 Donald Trump has been standing at a mirror summoning a demon for the past three years. Wrong again. Your President has been busy restoring America’s economy in hundreds of ways, resulting in record-breaking achievements which you can look up anytime you like. You and your fellow Leftist witches think his historic wins are the work of the devil. What would we expect from Democrat witchdoctors who chant their hexes at him? For the greater part of his career, Donald Trump was not in a position to create reality with his words. On the contrary, for the more significant part of his career, Donald Trump was indeed in a position to create reality with his words, and he did so many tens of thousands of times, as all billionaire entrepreneurs do. Here is a 33-year-old Trump in 1980, being interviewed on NBC’s Today show by Tom Brokaw. Listen to his words to see why Brokaw respected him so. He could say what he wanted — You’re fired! Yes, he was even able to host 14 seasons of a top-rated reality television program, ‘The Apprentice,’ though he said much more than ‘you’re fired.’ Here he is giving contestants advice. Trump University will help you succeed! Fake News made a giant nothingburger out of Trump University, as I explained here. If you have some problem with his university, spit it out. As I say, you need to provide examples of what you are rambling on about. But now his words have a power to build worlds. Do you mean ‘the power’? You are a columnist – perhaps you should spend more time on your grammar. Trump’s words have been misreported by Fake News since he began campaigning in 2015. He is a man of action, not words, and his efforts have made America great again, as he said he would. Now it is just a matter of staying great – something you and the Left want to undo as soon as possible. He and his “nationalism” are strengthening something distinctly ugly. Is there anything wrong with that? The Left doesn’t think so when it comes to their pals China, Korea, Africa, India, the Middle East, Indonesia or Japan. But when it’s a white country – all of a sudden they think being a Nationalist is ebil and wacist. He and his “fake news” are undermining a bedrock democratic institution. 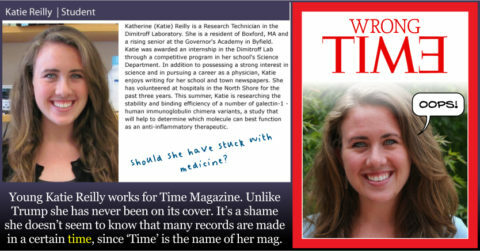 Once again Petri, back your allegations up with evidence. You create the Fake News, and yes, it is undermining democracy. You want socialism to replace it, or have you forgotten? 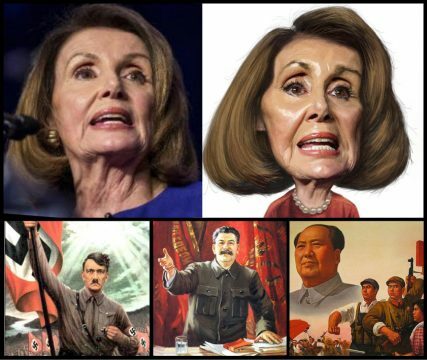 Socialism is not democracy the last time I looked. mmm beep trump is ebil. trump not trans. does not compute. eep. orange man hates trans. will have real consequences for people’s safety and welfare. People are employed again. They have money in their pockets. Law and order are being restored again. Thousands of other significant developments are happening. That will have real consequences for people’s safety and welfare. You may get down on your knees and thank Trump for that. Now Petri, throw that culture out – it was a bad batch. Try something different. Stop peddling nothingburgers and find a real job. There are plenty out there, thanks to your President.